So, my mother–who I miss every day of my life–was born and raised in Ansted, West Virginia. (We call it ‘Dead-sted’ because there is literally nothing to do there. I’ve seen chickens wander in the middle of the street looking for entertainment–I kid you not.) My mother, however, was proud to call herself a hillbilly, loved the Grand Ol Opry and Willie Nelson, and told me she had spent her entire life camping–which is why when I was growing up we never went. (I now understand why we never camped as a family–and I’m totally ok with it. No showers. Going potty outside. No thank you. But I digress.) 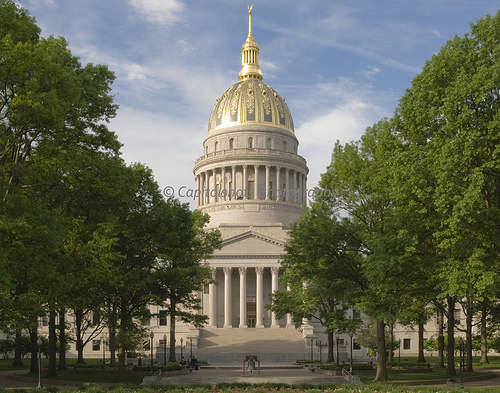 I spent last weekend in Charleston, West Virginia with my mother’s father’s side of the family–and boy was it a hoot, to say the least. After driving 2 hours to Virginia to pick up my cousin, and then another 5 hours to West Virginia, we arrived on Friday evening in time for the meet and greet. I met relatives I never knew I had and chatted with some I hadn’t talked to in years. They came from near, Ansted, WV and far; I have a cousin that lives on an Indian reservation in the state of Washington. Needless to say, he got the prize for having traveled the farthest. It was an awesome start. That night, some of us went to Multifest. An outdoor festival at the State Capital grounds with food, vendors, and entertainment. I bought a $5 ring with a stone in my signature color of pink, had some delicious pulled pork, and we saw the Zapp Band–a band I’ve never actually heard of but apparently I know several of their songs. We slept in and missed the breakfast, tour of the Booker T. Washington Cabins, and the Jordan Photo Collection. (Psst…My Uncle Harold was a Jordan.) So, after a quick stop at Starbucks in the mall across the street we got ready for the picnic. Held at a local park, there was food and fun for all. Volleyball, sack races, and my personal fave–a hula hoop contest. Sadly, my hoola hoop skills are not what they once were and I failed to qualify for the contest. Next time! Post picnic, we made a quick stop at Kroger to pick up some munchies for the room. 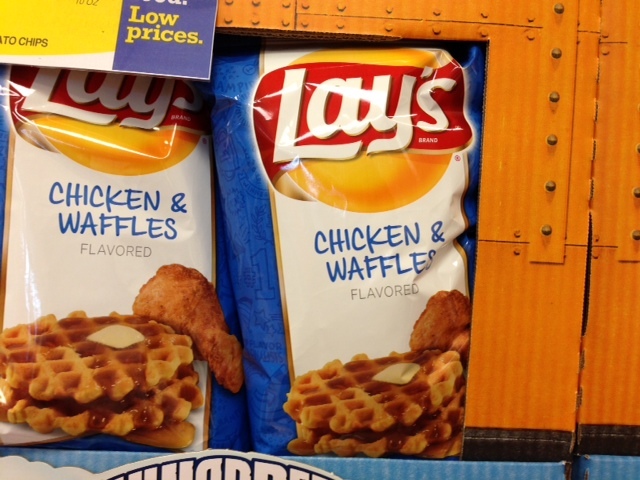 The ‘chicken and waffle’ flavored potato chips did not make it into the cart, however. Because I didn’t think people would believe me, here’s photographic evidence. I can’t make this stuff up. Oh, and of course more food and dancing. Well, you know after the party comes the after-party. Room 6xx! Needless to say, I went to bed late–somewhere in the 3am area I think. We missed breakfast (again) on Sunday, and my cousin and I were the last to leave. It was just so hard saying good-bye to everyone. I have to speak up in defnse of Ansted West Virginia. Ansted is where my mom grew up in. She was born there. Yes it is. Did she know a familly named Grose?